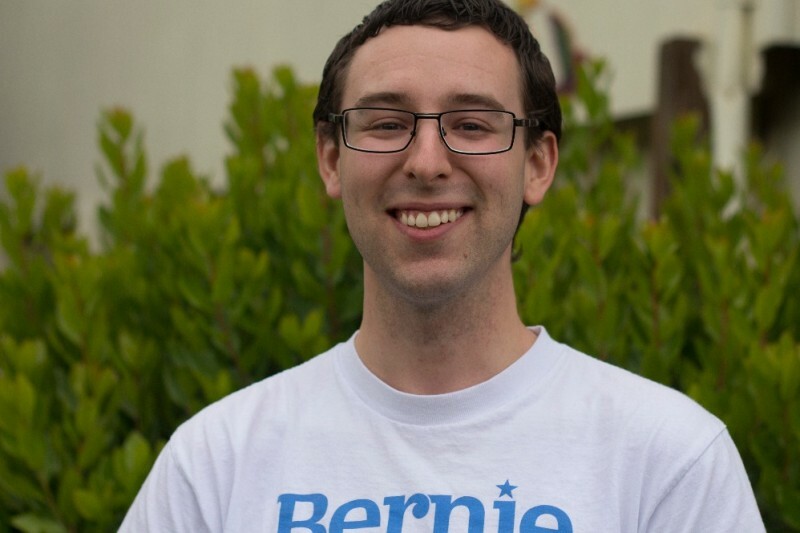 My name is Ryan Moore, and I am very proud to be a part of the Political Revolution. Lane County for Bernie Sanders began a year ago, in June 2015, with just nine of us in a small room. Since then, we have built it into one of the most effective and successful grassroots groups in the entire country. From winning our primary by a margin of more than twenty points, to taking the cake at the Democratic Party of Lane County’s Chili Cook-off and Pancake Straw Poll, to having phone and face-to-face conversations with thousands upon thousands of voters before the campaign even touched down in Oregon, we have built one hell of a movement! However, to carry it through to the Democratic National Convention, I need your support. While I am running as a national delegate for Bernie Sanders, the total cost of the convention, including airfare, hotel stay, food, and other incidentals, has been placed at roughly $4,000. I am, by no stretch of the imagination, a wealthy man. This sum is far outside my reach, and so I ask for your help. Are you able to contribute as little as five or ten dollars to send a proven fighter to the convention in Philadelphia this July? Over the past year, my roles in Lane County for Bernie Sanders have varied widely; I have always been the main man behind our E-mail newsletter, but I have also helped lead our efforts on social media, establish a statewide, grassroots communication network through Slack, create a volunteer hub with OregonforBernie.com, pioneer several phases of our data operation, train countless canvassers and phone bankers, design and implement our campus blitzes, organize a canvasser caravan into Nevada (where I was given the incredible opportunity to Chair a caucus), and even share a stage with Senator Jeff Merkley and Representative Tulsi Gabbard at their rally in Eugene. I, along with so many others, have poured my heart and soul into this movement; while it has taken a great deal of time and energy, Bernie makes it worth the effort. I fervently believe that this is our single-best shot at retaking our Democracy from big money interests, and that so much more will be possible once this is accomplished. I am eager to see our movement through its next chapter at the Democratic National Convention, where I will do everything in my power not only to secure the nomination for Bernie Sanders, but also to insert his policies and stances into the Democratic Party’s platform, and so I ask you again: can you spare even just five dollars to send me to Philadelphia this July? Thank you very much for reading. Let's do this thing! There are no words for my level of gratitude. Representing us at the convention will no doubt be challenging, tiring, and frustrating at times, but I know that the power of the People is on our side. Together, we are strong. I am eager to help carry this strength through the national convention, and beyond. What a long road the past month has been! On June 18th, at the Oregon State Convention, an incredible team of friends and supporters came together to elect me as a national at-large delegate for Bernie Sanders. This means that I will be travelling to Philadelphia to see our movement through its next phase at the Democratic National Convention in late July. I am humbled and thrilled beyond belief to be given this opportunity to represent my fellow Berners at what is sure to be a critical juncture for the future of our United States of America. With just a couple of weeks left, however, I am barely at 25% of the estimated costs of attending the convention; can you contribute ten, twenty, or fifty dollars to help a proven fighter carry our movement forward? While I ask humbly for your vote on June 4th at our 4th Congressional District Convention, that is only half of the battle. I am, by no means, wealthy; even if elected as a national delegate for Bernie Sanders, I am unable to shoulder the costs of attending the convention on my own. To address this, I have launched a page on GoFundMe; within 24 hours, I was already at about 15% of what I will need in order to attend in Philadelphia! This gives me hope that it is possible. There is still time; a contribution of as little as five or ten dollars will go a long way in getting a proven delegate to the national convention. I have put my heart, soul, and a whole lot of hard work into this movement, and I am eager to take it to the next level. We are not only nominating a presidential candidate, we are also fighting to instill within the Democratic Party the progressive platforms and stances that will save our government from big money influences, our planet from environmental disaster, our society from divisive vitriol and hatred, and so much more. I will excel at this. Can you help? Thank you for your support! Best to everyone at the Convention. I will be with you in spirit!